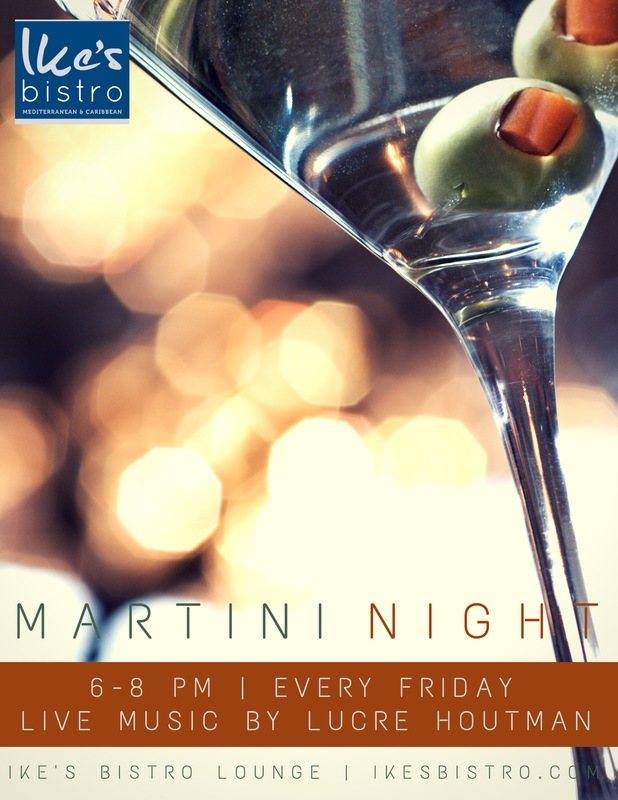 Every Friday it's Martini Night at Ike’s Bistro located at Manchebo Beach Resort & Spa. Starting from 6-8pm with Live Music by local jazz singer Lucre Houtman. The ambiance couldn’t invite relaxation more—the afterglow of sunset at dusk together with Lucre Houtman laying down some chill tunes create the perfect vibe. Sip your favorite Martini or try something new like the Cashew Fusion and start your weekend in the lounge area from Ike’s Bistro. Whether you are a local looking for a refreshing, new happy hour scene with a touch of sophistication or you are here on vacation and enjoy a good martini at a good value, Ike’s Bistro at the intimate boutique resort has a barstool reserved for you.